Unpack your bags and enjoy everything Reading has to offer. 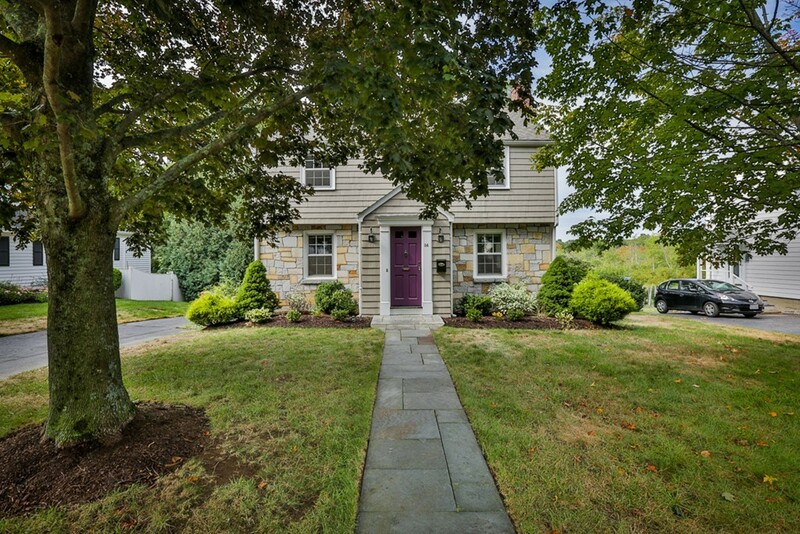 Move in ready on a quiet street convenient to town, schools and highway...This center entrance colonial features a gas fireplaced living room, formal dining room with built in china cabinet and crown molding, and kitchen with granite counters. A half bath and an office complete the first floor. Upstairs you will love the three spacious bedrooms all with hardwood floors and a full tiled bath. In addition there is a finished basement with additional half bath. Wonderful storage is found in walk up attic. Enjoy the peace and serenity on the large private deck overlooking conservation land and beautiful sunsets.